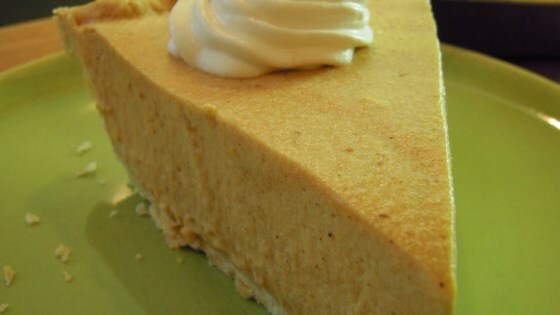 Combine the pumpkin, light cream, milk, ginger, nutmeg, cinnamon, cloves, salt, and 1/4 cup of the sugar in a blender. Blend until smooth. Pour the cold water into a small bowl and sprinkle gelatin over to soften. Combine the egg yolks and the remaining 1/2 cup of sugar in a large saucepan. Use a hand mixer to beat the yolks and sugar until they become thick and pale, about 5 minutes. Mix in the blended pumpkin puree and heat gently over low heat, stirring, just until the mixture is hot and small bubbles begin to form. Do not boil. Spoon pumpkin mixture into a large bowl and stir in the vanilla, whiskey, and gelatin mixture. Refrigerate the pumpkin mixture until it begins to set, about 20 minutes. Use a hand mixer to whip the heavy cream in a large bowl. With a rubber spatula or wire whisk, fold 1/3 of the whipped cream into the cooled pumpkin mixture. Gently run the spatula through the center of the bowl, then around the sides of the bowl, repeating until fully incorporated. Add the remaining cream, folding just until incorporated. Pour mixture into prepared pastry shell and chill until set, 2 or 3 hours. Garnish with additional whipped cream, if desired. I added too much rum, otherwise, I think it would have been better. It was light, not sure if I would make again though-just didn't knock my socks off. I doubled the recipe. It filled two deep dish pie shells and I had enough left over to fill a 1.5 qt casserole dish. It was very good. not so impressed. mine turned out to be a pudding on top of crumb crust. I am glad I used a graham cracker crust as that was the sweetest thing about it.